This is a collection of short pieces for daily reading in Lent, taking a wryly humorous look at the world and reflecting on the questions of faith that arise from the everyday. "Strangely Warmed" is a collection of short pieces for each day in Lent, designed to be read in the bathroom or on the train, as one would a magazine column. Each piece takes a wry look at the world and reflects on the questions of faith that arise from the everyday - the advertising slogan, the bus journey, the church jumble sale...Drawing on the ingredients of scripture, theology and philosophy, "Strangely Warmed" aims to make serious doctrinal points with a lightness of touch, offering bite-sized morsels to be enjoyably chewed over, in the hope that this will lead to a deeper reflection on, and appreciation of, Christian faith. 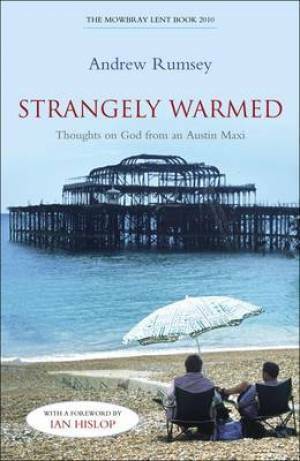 Strangely Warmed: A Lighter Lent by Andrew Rumsey was published by Continuum in December 2009 and is our 18869th best seller. The ISBN for Strangely Warmed: A Lighter Lent is 9781441130686. I have used that quote because I could not put it any better. As Tom Wright says in his review ‘You will laugh out loud one minute and want to pray out loud the next’. Yes! I did! Not your usual Lent book but none the worse for that. Andrew Rumsey obviously loves life and his part in the world around him. He finds humour in much of it but gives plenty of pause for thought in these pieces too. Don’t be put off by the small print as I nearly was, it is well worth reading. Got a question? No problem! Just click here to ask us about Strangely Warmed: A Lighter Lent.